Alex’s love of both music and education stems from her mom, a saxophonist and music teacher. She grew up seeing her parents teach music lessons for kids, visiting her mom’s classroom, and eventually became her parents’ student in high school band. First she started by learning piano. Then in her teenage years she picked up guitar and percussion, but her love of singing was steady throughout. She started to get serious about studying jazz in high school. Matt Harris gave Alex piano lessons, and she performed in various honor groups in California. At the same time, she began performing in musical theatre shows. Her love of jazz piano and musical theatre fused to ignite a passion for jazz singing. 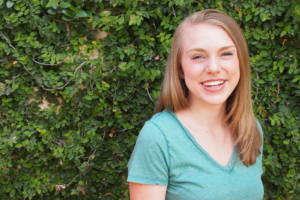 She now studies voice under Dr. Kate Reid at the University of Miami, where she also is a member of Downbeat award-winning vocal group Extensions. First piano lesson at age 4. Alex is in her last year of pursuing her BM in Studio Music and Jazz at the University of Miami. I love moments when my students make connections between what they learn in their lessons to outside experiences. The musical concepts they learn can be applied to all other aspects of life, whether they’re more “technical” (preparation, attentiveness, diligence) or “emotional” (empathy, listening). I credit my music teachers with making me the person I am today, and I love having the opportunity to share that with music lessons for kids, too! Alex has performed in various avenues throughout LA and Miami. She was a featured performer in the Stanford Jazz Festival as well as the Miami Jazz Co-op’s series at the South Miami-Dade Cultural Arts Center. She also performed at Miami’s Arsht Center as part of their Ella Fitzgerald centennial concert. Her own quartet has been featured at clubs like Vitello’s in Los Angeles and on WDNA Radio in Miami. Alex has shared the stage with the likes of Darmon Meader, Becca Stevens, and Dena DeRose. She can also be seen performing at parties and events for children throughout Miami as an entertainer with Jam with Jamie.